Interested about this bike, info and evaluation. 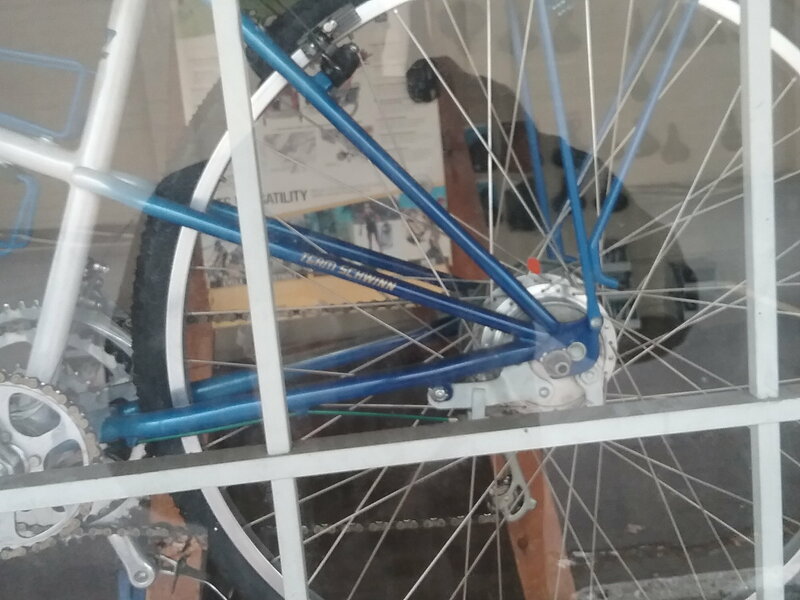 It is hanging in a small bike shop. The matching colored racks are a nice touch. It's homemade, not from the factory. What do you mean, homemade? The guy was a Schwinn dealer for many years. Do you think he got the frame and built it? What's the deal with the loose chainring in the timing chain? Used as a way to keep tension and it pretty much stays in place during rotation? Last edited by nomadmax; 02-11-19 at 06:07 AM. Accordng to the catalogs the tandem construction ceased in 1979 and no models of that desing are seen. I have a 1972 paramount tandem and it had same side drive and dual down tubes for the lady back and from the front not solo tubes. I would check the serial number stamps to see if there are any matching of asian suppliers to Schwinn it may be a newer ititeration by a psuedo schwinn. 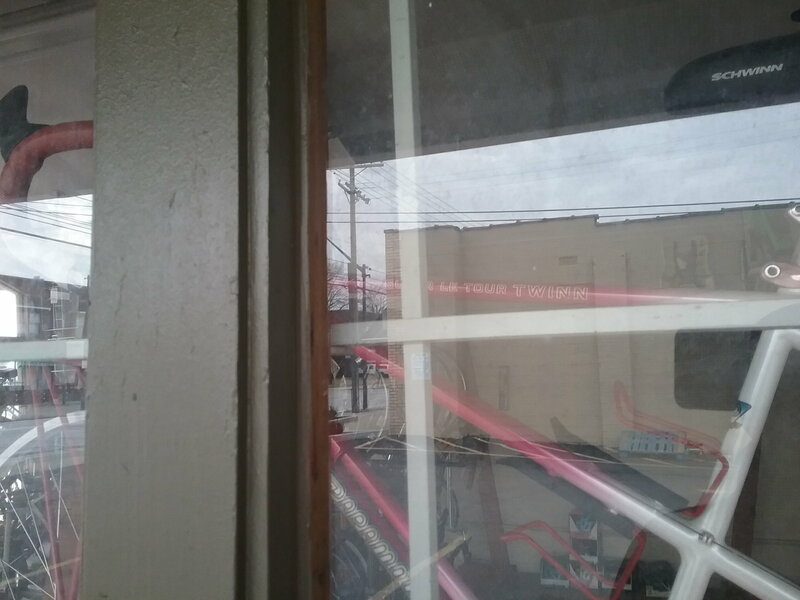 See the on line schwinn tandem info for Pics. 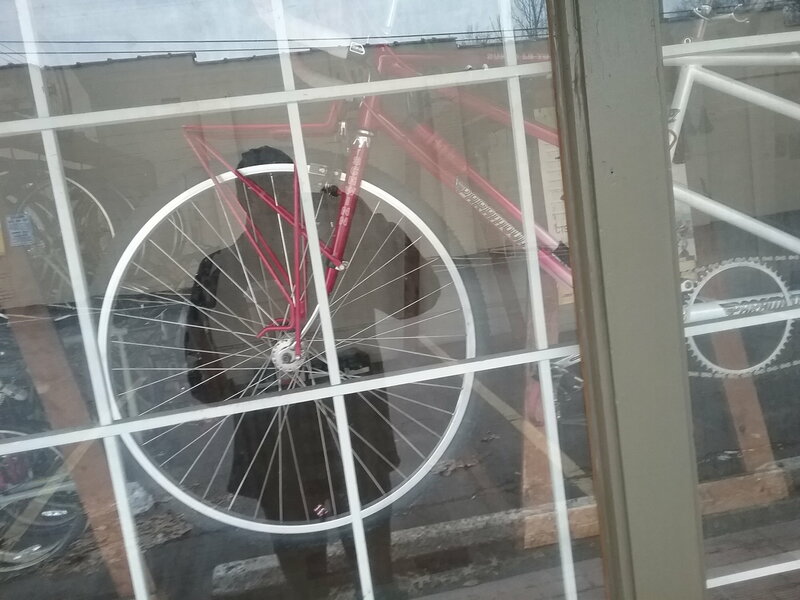 I believe it is a custom construction not made by Schwinn. I talked with the owner. 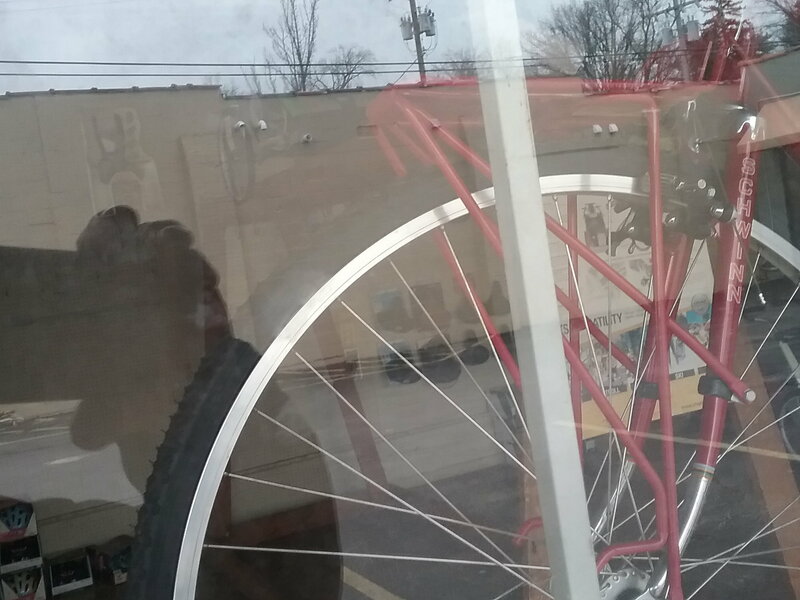 He built the bike 25 years ago, from a Schwinn Twinn frame. Suntour XC9000 rear derailleur, DuraAce front, bar end shifter. TA crank, front and reat brakes and rear drum brake. Weinmann rims, Phil front hub. He wants a lot on it 1500$. 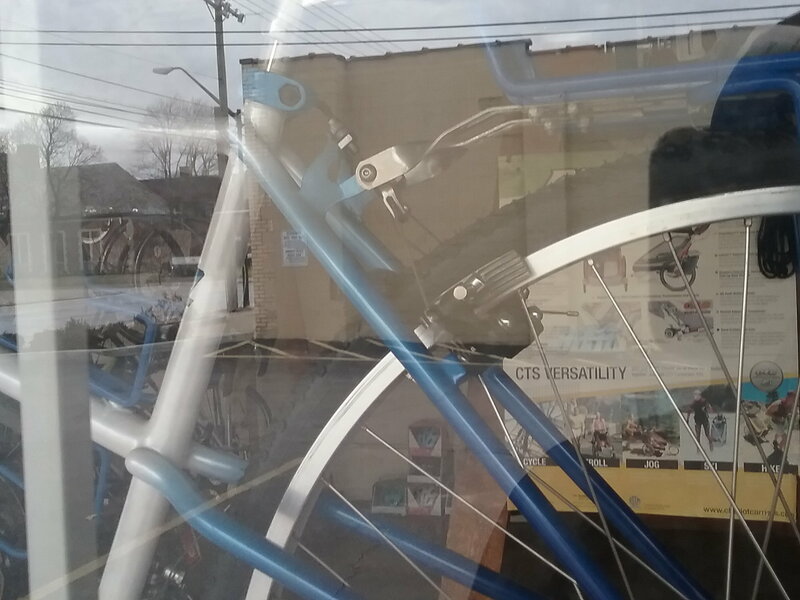 What frame material were these Schwinn Twins made from? It seems like a well appointed build in basically NOS condition. $1500 may not be that bad a deal considering the matching custom color racks and cages. The frame material is gas pipe, except the top tube, which is Cr-Mo, added. He welded all the cables guide. I will be back to him at the end of the week. 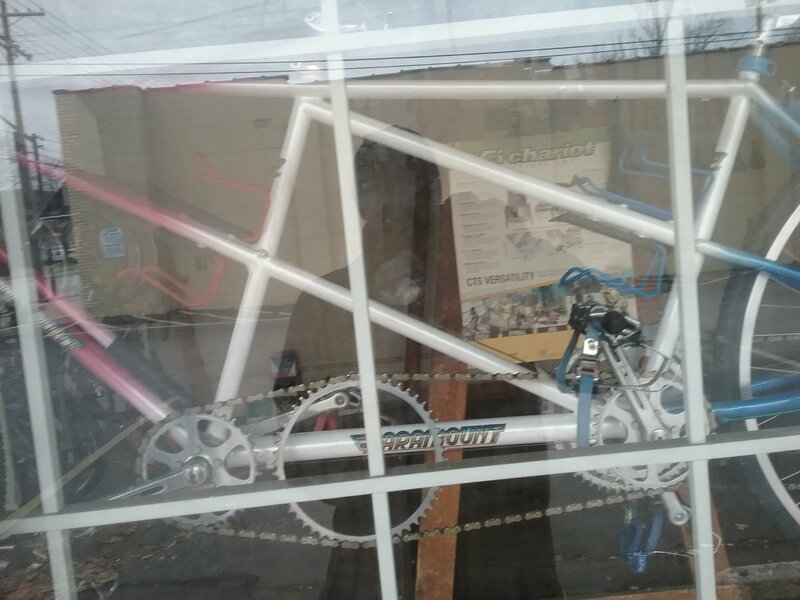 I am not interested to buy the bike, but he is closing the store and has some stuff for sale.